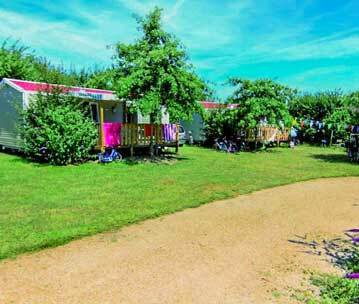 A campsite in the Vendée countryside with international clientele, LA BRETONNIÈRE Flower Campsite is located 10 minutes from the beaches along the Atlantic coast, 2 km from the village of St Julien des Landes and its shops and 3 km from the Lake of Jaunay (geocaching), where you can enjoy large quiet pitches for a holiday in the shade. 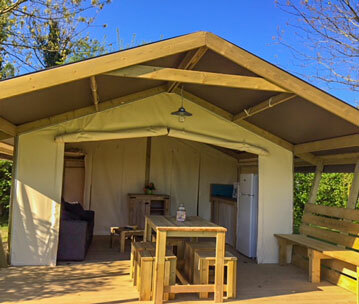 Our pitches range from 150 m² à 200 m² and are landscaped, with amenities (free hot water, 5 restrooms with changing table, handicapped restroom), and pets are welcome. You can enjoy 4-star comfort with our various services and activities, such as: indoor pools, including one heated, water games and wading pool (added in 2013, indoor sporting complex, kids’ club, sporting events and free fishing in the lake, free Wifi, mountain bike rental, soccer field, tennis court, petanque court, two play areas for children, TV room, game room, sporting events (soccer, volleyball), guided hikes. 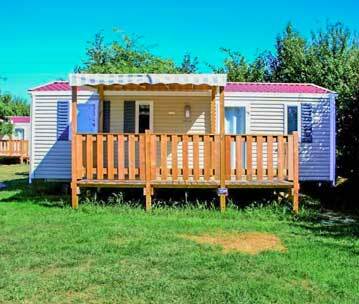 For increased comfort, we have various mobile home rentals available, including chalets or canvas bungalows (tents with amenities) so that you can enjoy your trip. 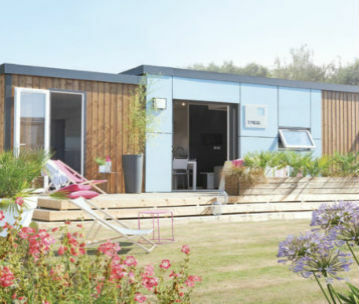 You are guaranteed to feel at peace at our 6 ha park (165 spaces), with its many trees and flowers, an excellent place to began your travels through a mosaic of different landscapes as you follow the 1500 km of bike paths along the coast of the Vendée. 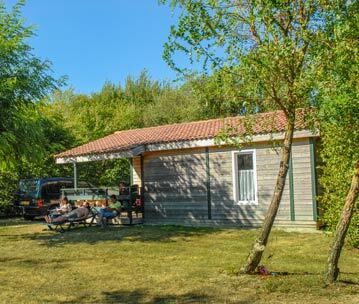 A Vendée campsite with pitches (see our rates), the LA BRETONNIÈRE Flower Campsite **** in St Julien des Landes is located only 3 km from the Lake of Jaunay, and offers a heated indoor pool, mobile home, chalet or canvas bungalow rental and large shaded camping pitches for your holiday on the coast. 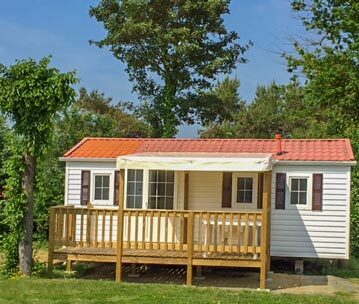 With tours and activities on the Lake of Jaunay and other water-based activities in the Vendée, just a few minutes from Les Sables d’Olonne, you can explore the Pays des Achards, between ocean and land.The Lake of Jaunay is known for its fishing: you can fish this like all year round! You will find: pike, pike perch, carp, rudd, tench, bream, and perch. A fishing license can be purchased at the bar/tabacco store in St Julien des Landes. You can explore the many hiking trails around the Lake of Jaunay and through the Pays des Archards for a variety of views. 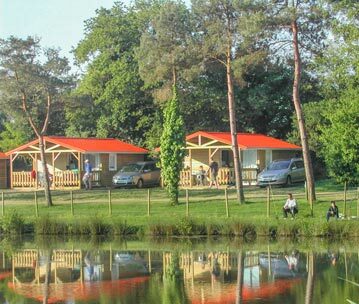 Travel with family or friends for a true modern treasure hunt at the Lake of Jaunay! With a GPS, you can both hike and play while looking for the over 50 geocaches hidden around the lake! 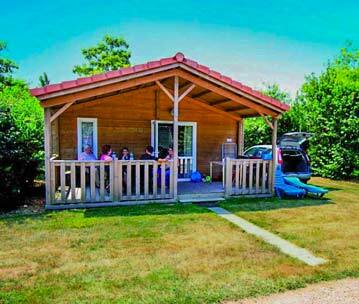 Let the Vendée enchant you with its rich cultural heritage! 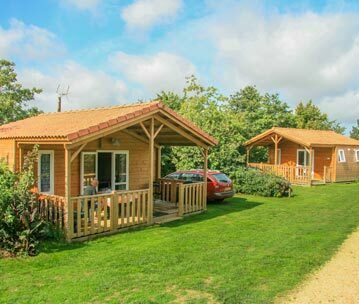 The Vendée is proud to have you at its tourist sites and castles, windmills, abbeys, priories, nature reserves and theme parks. 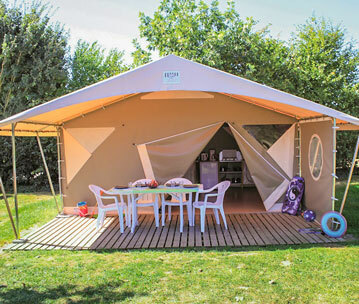 Our campsite is in the perfect location just off the coast between Saint Gilles Croix de Vie and Les Sables d’Olonne. 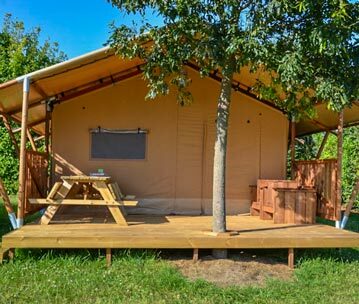 The campsite is an excellent place to began your travels through a mosaic of different landscapes as you follow the 1500 km of bike paths along the coast of the Vendée. 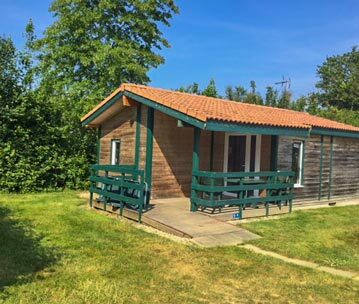 Mountain bike rental, soccer field, tennis court, beach volleyball court… petanque court, two play areas for children, TV room, game room. Pools, play area for children, sporting events (soccer, volleyball), free fishing, guided hikes. The conviviality and the meetings between customers are in the honor during the evenings and meals. Registration fee and massage offered for 2 people. lectus dolor. consequat. in fringilla id Lorem elit.